Univ Of Minnesota Press, 9780816640652, 640pp. With more than two hundred tree, shrub, and woody vine species in Minnesota, anyone with an interest in the outdoors has likely encountered an unfamiliar plant and wondered about its name, origin, characteristics, and habitat. In this new identification resource, the state’s foremost botanist and endangered species expert Welby R. Smith provides authoritative, accessible, and up-to-date information on the state’s native and naturalized woody plant species. 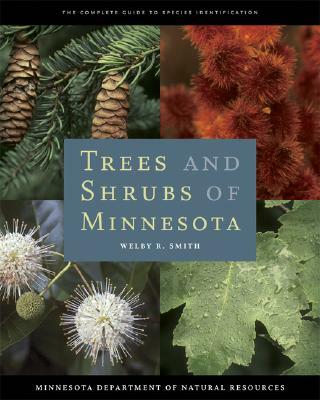 • Comprehensive coverage: includes all native and naturalized trees, shrubs, and woody vines in Minnesota from Abies balsamea to Zanthozylum americanum. Written for everyone from scientists and environmentalists to teachers and people interested in horticulture and gardening, Trees and Shrubs of Minnesota will engage and educate anyone with a curiosity about the natural world. Welby R. Smith is a botanist for the Division of Ecological Resources at the Minnesota Department of Natural Resources. He is the author of Orchids of Minnesota (Minnesota, 1993).